Today I’d like to highlight a question that was recently posed on this blog concerning the use of wild-caught invertebrates as pet food. The writer expressed the well-founded concern that fertilizers might render such invertebrates toxic, and also asked about the possibility of parasite transmission. 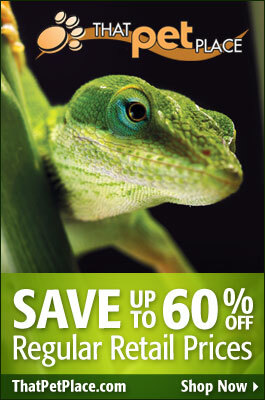 Please see Part I of this article for a general discussion regarding the collection of insects and other invertebrates and their use in the diets of captive reptiles, amphibians, birds, invertebrates and fishes. Today I’d like to focus on some areas of special concern. While not involving pesticides per se, for your own safety and that of your collection it is imperative that you learn to identify the toxic or otherwise dangerous invertebrates that you may encounter while collecting. A good field guide (i.e. Audubon, Golden Guide or Peterson series) is indispensable in this regard. Be sure to handle unfamiliar species with plastic tongs. Please bear in mind that even relatively mild bee venom can cause fatalities in allergic people. And while less than 1% of the world’s 40,000+ species of spiders are considered dangerously venomous to us, a number readily bite both people and animals in self defense. It is best, therefore, to avoid them…the Thin-legged Harvestman or “daddy long-legs”, which are not spiders, are safe to use. Steer clear also of bees, wasps, large ants, stag beetles and others well-equipped to defend themselves. Bright colors often indicate that an animal is toxic or bad-tasting; ladybugs, fireflies, milkweed bugs and a great many others fall into this category. Unless you are sure of an insect’s identity, the safest course of action is to avoid brightly-colored species. In many cases, predators avoid dangerous prey animals that occur naturally within their ranges; this can spare both pet and pet- keeper a good deal of grief! However, dangerous non-native prey animals may be attacked with abandon if the hunter has no “frame of reference”, so use extra caution in such cases. I have, for example, housed highly-toxic Marine Toads with Green Anacondas for decades without incident, despite the fact that anacondas consume non-toxic frogs readily. However, Australian monitors and snakes, which have no instinctive or learned toad avoidance behavior, eagerly consume the Marine Toads that have been introduced there, often with fatal results. Earthworms are one of the most nutritious live foods available. There are, however, situations that warrant precautions. Earthworms are unique in consuming dirt as they tunnel, and in doing so may concentrate toxins present there. To my knowledge, the only problem that has arisen thus far has involved worms that dwell along golf courses, which are subjected to unusually high degrees of pesticide application. Please see my article Raising Earthworms for details concerning striped skunks and earthworms in NY. Avoid collecting invertebrates for 1 week after an area has been sprayed as part of West Nile eradication efforts, and steer clear of farms where pesticides are known to be applied regularly. Avoid also local insects that are considered to be agricultural pests, as they are likely the subject of control measures (this may apply to aphids, caterpillars, Japanese Beetles, etc.). Despite the precautions that must be taken, invertebrate collecting is a fascinating and thoroughly enjoyable endeavor. Don’t forget to examine your catch closely…several years ago a new species of centipede was uncovered in NYC’s Central Park, on ground trod daily by thousands of people. Like me, you just may wind up keeping some of your discoveries in captivity for their own sake! For a very interesting account of how toads learn to avoid stinging insects, please see my article Amphibian Learning Abilities. 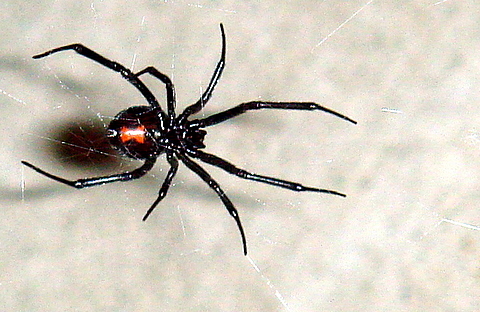 Black Widow image referenced from wikipedia and originally posted by Trachemys. Milkweed Bugs image referenced from wikipedia and originally posted by Greg5030.